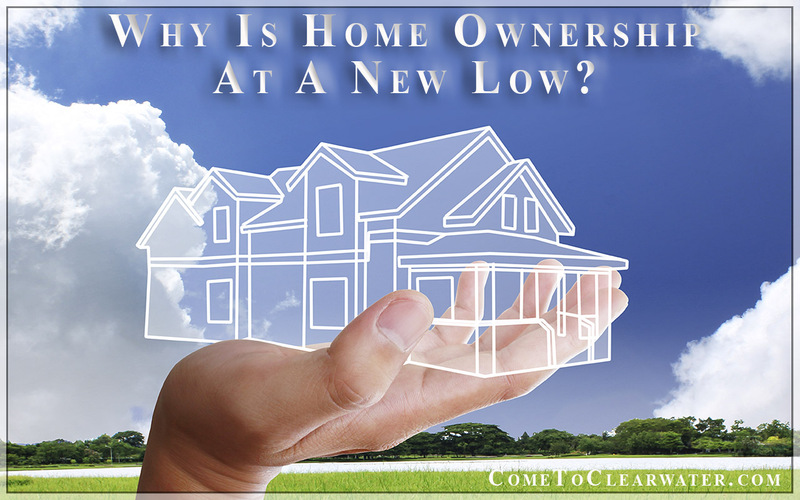 Why Is Home Ownership At A New Low? If you listen to the “experts” in the media, the housing crisis is well over. But if that’s true, why is home ownership at a new low? Truth is, while the market is bounding back, there are still millions of Americans who want to be homeowners that can’t. In fact, people who rent make up a larger part of US households than those who own. This is because it’s harder for first time homeowners to buy than it used to be. First, income increases aren’t keeping pace with the rise in housing prices. For instance, in 2014 incomes averaged a 1.2 percent increase. In that same year, the median sales price rose 6.6 percent for new homes and 4.7 percent for existing homes. The only saving grace was that interest rates were historically low which kept mortgage payments low. That helped some. The next problem is that new homes are too overpriced or too large for a lot of buyers. New builds are big homes which cater to wealthier buyers. It would seem that there would be smaller starter homes available, but since the median size home in the US is 1,800 and up to 2,500 square feet. That means starter homes are more expensive. Think about it, new home builders take a similar amount of time to build a 1,200 square foot home as they do to sell a 1,800 square foot home. Say housing prices are around $72 a square foot in your area (this varies GREATLY depending on where you live), then the builder would make an extra $43,200 to build a bit bigger home. That is a HUGE difference for their efforts and makes sense why they tend to build bigger homes. Foreclosure is still a pervasive issue. It makes existing homeowners become home renters. There are still about twice as many forfeitures now annually as there were before the crisis. Debts beyond the mortgage are also part of the problem. Beyond credit card debt, which is still substantial, a record number of those first time home buyers are carrying huge student loan debt. It isn’t unusual for graduating students to have $50,000 or more in loan debt. Those payments are a mortgage payment of their own. Lastly, not having great credit is a problem, as well as paying rents that make it hard to save a big down payment required if you have dinged credit.